Last Monday, we announced the January Amber Grant finalists. Today, we’re delighted to share the recipient and the qualifier for our $10,000 year-end Amber Grant. Congratulations to Lauren Choi, Founder and CEO of The New Norm. We caught up with Lauren to help shed light on her mission and her future goals. WN: What problem does The New Norm highlight and how do you plan to solve it? LC: It came to my attention that America is facing a recycling crisis and most people are not aware of this issue. Many recycled goods are no longer accepted by China and end up in landfills. This is terribly unfortunate. Over the summer, I started doing research and tried DIY Youtube videos showing me how to make thread from plastic water bottles. When I went back to school, I decided to form a team of students from different backgrounds, skill-sets and majors. In three weeks, our team grew from 1 to 20 members. I could just feel the excitement. This was a problem people were interested in addressing and I felt their support. We have 2 technical teams designing and making a machine that will melt, homogenize, and extrude plastic into a filament that can be woven into fabric. We also have a public policy team researching Baltimore’s recycling policies. We decided to call our business The New Norm, because we hope to show everyone that fabric can and should be produced this way. We spent a week during winter break building our first prototype. We held a five-day design sprint where we wired, welded, cut metal, and assembled our machine. Our machine will melt and homogenize plastic like a 3D printer and produce a thin filament. This filament will be cooled to room temperature and spooled out of the machine. We will be working with an experienced weaver who will make fabric from this filament. All our team members are undergraduate students at Johns Hopkins University, which is located in the heart of Baltimore. Baltimore is a city that can save money by recycling. Out of the 370,000 tons of traditional recyclables Baltimore produces, only 16% of metal, glass, paper, and plastic is recycled. That is a shockingly low number. We want to help Baltimore to develop ways to employ their own residents, help local communities within the city and feel empowered that we are changing our world by creating a cleaner planet that can support future generations. Over time, our method of producing synthetic fabric will change the textile and fashion industry. WN: How are you getting the word out? LC: We are using social media; we have created a website and Instagram. We are promoting our mission through Instagram to spread awareness to our peers, families, and the surrounding community. The Instagram is linked to our website, where people can learn more about our origins, ideas, and progress. We’ve already received donations through our website – it’s extremely encouraging to see that others believe in our mission. WN: How are you leveraging the resources provided by your University? Perhaps you can share some advice with other college-enrolled entrepreneurs. LC: The best piece of advice I could give to someone hoping to start a business is to talk to as many people as you can and truly listen to what they have to say. I had this idea over the summer and came back to school with so many questions for my professors. Setting up meetings and sending all those emails is what put me in contact with an alum that works at Under Armour. He listened to my ideas and overwhelmed me with advice on the different paths I could follow. It took me 2 weeks to process everything he said. I came to the conclusion that I needed to start a business in order to pursue my idea. I am so grateful to live in an age of start-ups. 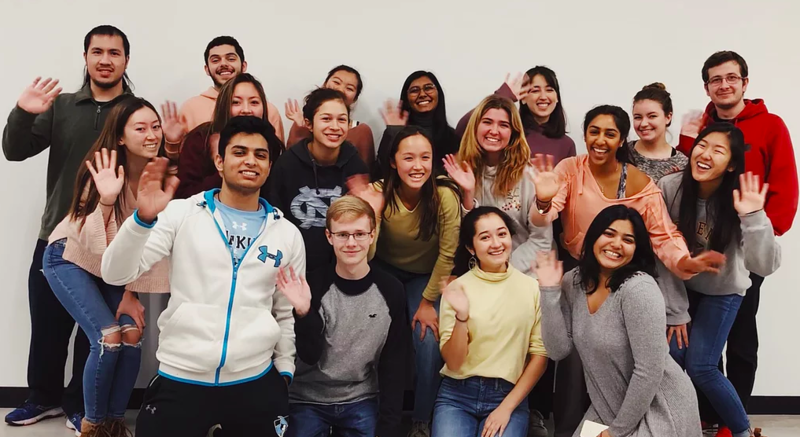 The reason our team is moving so quickly is because each student on the team is excited, has new ideas to share, and has chosen to dedicate their free time towards a project they are passionate about. This is an environment unique to new companies, but particularly to The New Norm. It’s been an incredible experience to be a part of – it inspires me every day. WN: Discuss some of the major goals/timelines you’re aiming to hit in the coming months/years. LC: Once Prototype 1 is producing filament, we want to design different nozzles that can extrude filaments of different diameters. Our Materials Technical Team will be running tests and designing adjustable features to add to Prototype 1 so that our filament can be strong and elastic. This is what we need to weave or knit stretchy fabric into clothing. We hope to have fabric by this summer. Using this grant, we want to build Prototype 2 that can handle various types of plastic. We are going to start collecting recyclables from our school’s campus so we need a machine that is more versatile with different plastics. Over the course of working on this start-up, I have found that many of the on-campus buildings are not actually supported by the school’s waste collection plan. In order to collect recyclables on a larger scale, we are going to distribute bright orange bins in popular areas around the school and in the neighboring apartment buildings. We want our community to know who we are, support our cause, and be accustomed to this method of recycling. Our goal for the summer is to head towards producing athletic wear. Using our experience with our two prior prototypes, we will make a third prototype that can handle significantly larger amounts of plastic. This will be a culmination of everything we’ve learned. Prototype 3 will be able to extrude strong, elastic filament that can be woven or knitted to make durable fabric for clothing and athletic wear. It will be able to print filament of different diameters, have adjustable heat settings, and be able to handle various types of plastic. We hope to collaborate and put a spotlight on student designers, Baltimore artists, and members of our team to create a line of unique, fashionable clothing. We hope that people will donate their ideas to our cause to start a ground-up movement. We are currently collaborating with Fiber students at Mica, an art school in Baltimore, to weave and knit our fabric. If we are producing on a larger scale, we would like to either buy our own loom or knitting machine or hire an experienced weaver to produce fabric out of our filament. Finally, we will work with clothing manufacturers in the US to make different patterns of our designs. The designs will go through rounds of testing until we are satisfied with our product. We hope to have clothing by the end of 2019.